Halloween is just past, you must have many parties to take part in, so have you ready for all these crazy night? Get your whiskers ready and your eyes crazy. After adding finishing touches to your costume and makeup using crazy lenses, you might want to intensify the entire disguise using a long wig that is spectacular and excels at grabbing attention. 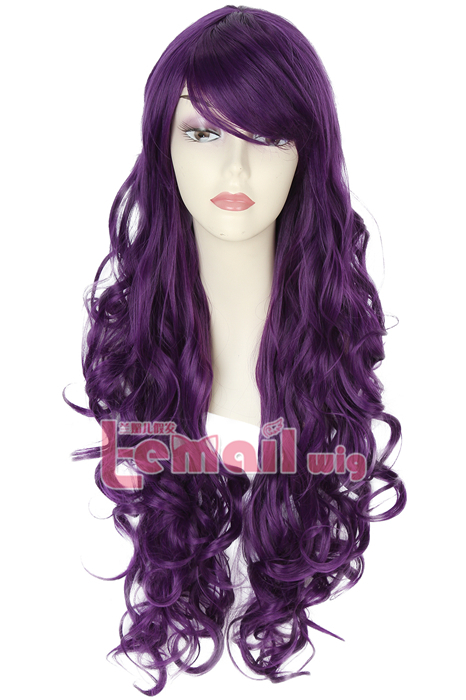 80cm long purple color cosplay wig is deep color, extremely long and with perfect curly/ straight tresses to be chosen. The wig is lusciously thick till the bottom and offers plenty of room for a custom trim. The quality of both the two wigs are silky soft, you will surprise to find that not had your hair that soft in a good long years and you will not stop touching it when you put on this wig. It honestly makes you feel wonderful and enjoy the very happy night! 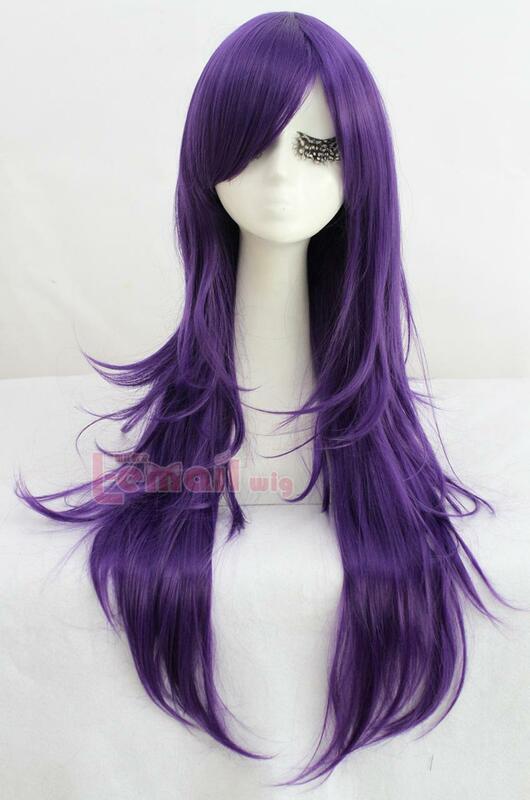 This entry was posted in Buy Cosplay Wigs, Wigs and tagged 80cm long straight cosplay wig, long purple wigs, long wave cosplay wig, purple color wigs.